…And then there was no cider. All that was left was apple juice. So, again, necessity being the mother of invention, and desperation being the mother of alcohol experiments, this came out. There is something about granny smith apples that make you reminisce about visit to the grandparents and being served some apple pie, with leftovers used as garnishes for a stiff drink. 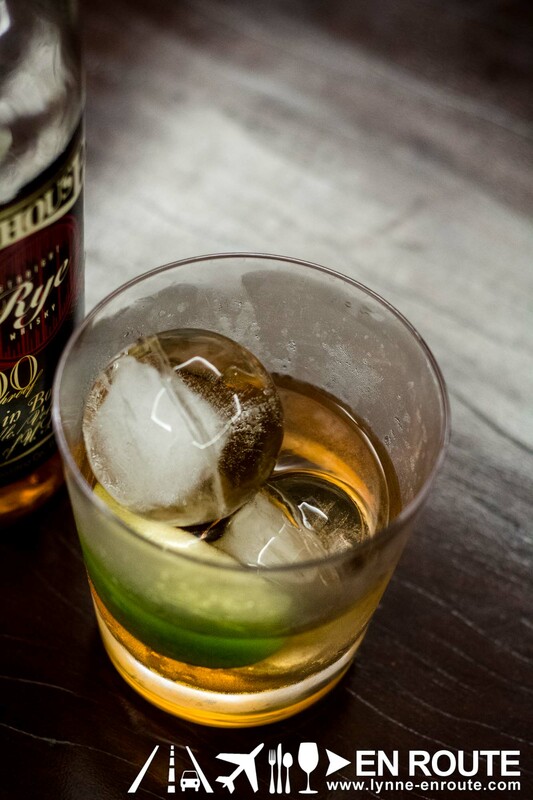 Into a rocks glass half filled with ice, pour to bourbon, apple juice, simple syurp and angostura bitters. Stir appropriately. Add a splash of club soda, and finish off with a slice of granny smith apple. What’s great about this? That slice of apple turns into a nice finishing treat. Cheers!